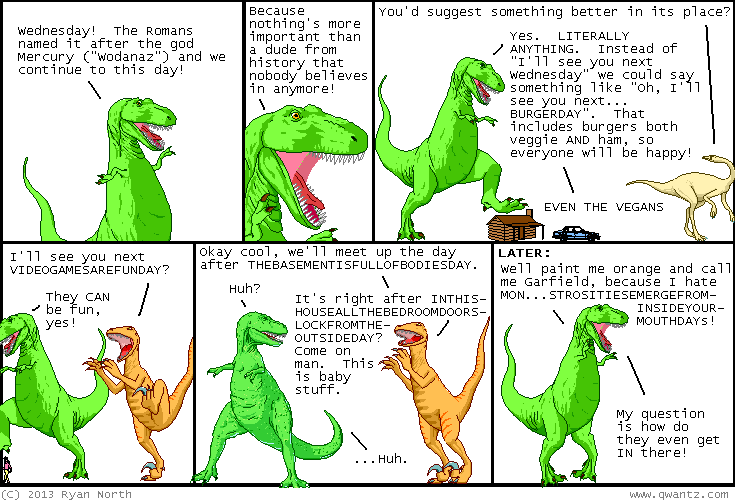 Dinosaur Comics - April 10th, 2013 - awesome fun times! April 10th, 2013: A poem! I wrote it just now, all by myself! One year ago today: technically one would need to shove a record recorder into a movie camera, but STILL.